1. "Delete archive" extraction option deletes all volumes even if user started extraction from non-first RAR volume, but first volume is present and all files are unpacked successfully. 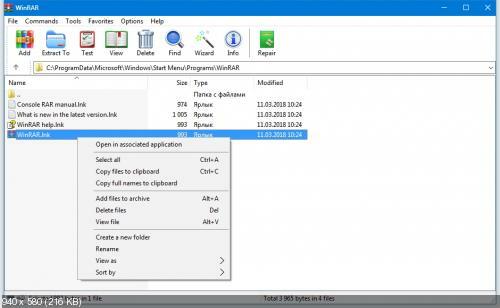 In such case previous versions ignored "Delete archive" even if WinRAR was able to locate the first volume and process the volume set from beginning. 2.Compression ratio bar is not displayed on "Archive" page of Explorer file properties for archives with encrypted file names. WinRAR cannot reliably calculate it for such archives without a password and previously it just displayed 0% here. 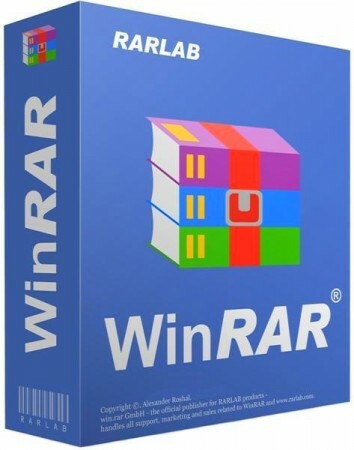 f) SFX module "License" command did not set a title of license window; g) if "Start-up folder" in WinRAR settings included the trailing backslash, WinRAR ignored first "Up one level" command.